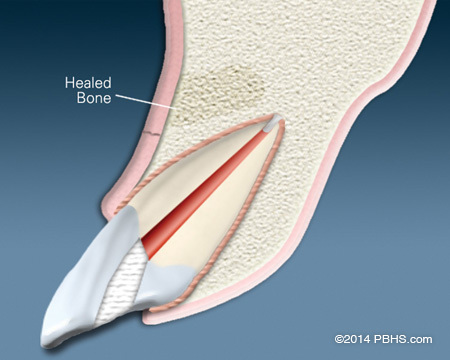 When inflammation or infection persists in the bony area around the end of your tooth after a root canal procedure, an apicoectomy may need to be performed. 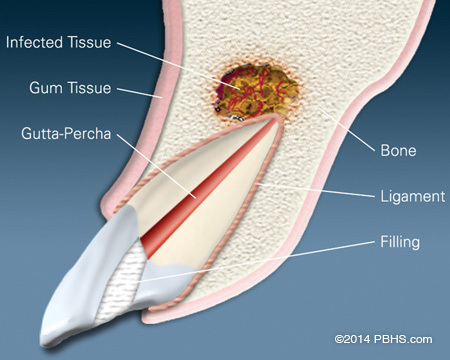 In this procedure, the endodontist opens the gum tissue near the tooth to see the underlying bone and to remove any inflamed or infected tissue. 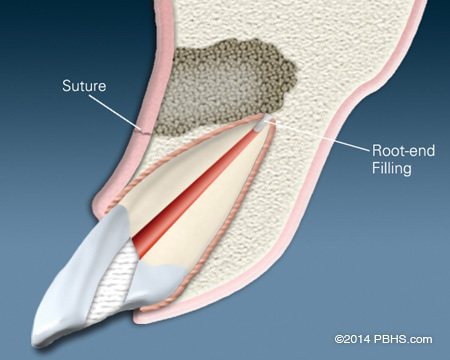 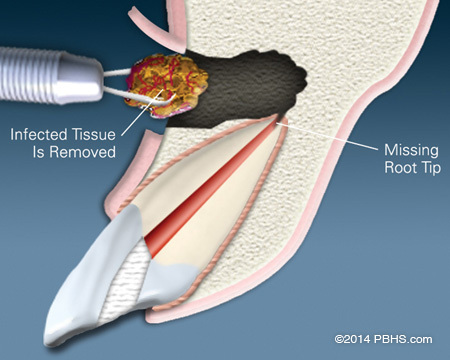 A small filling may be placed to seal the end of the root canal.